Networking with executive search consultants is vital to the course of your career when you find yourself searching for a new job. 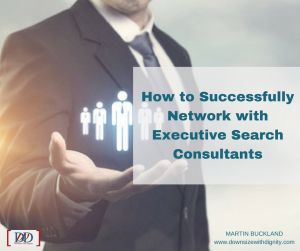 Executive search consultants work with companies looking to fill senior level positions in their firm; therefore, networking with them is a powerful resource that will help you take the next step in your career. The plight of an executive search consultant consists of finding highly qualified candidates and filling their client’s open positions with those candidates while building and maintaining client relationships. Their ability to successfully balance all those roles impacts their reputation and their own job. Therefore, to stand out as a highly qualified candidate in the mind of an executive search consultant, you must be on top of your game. Who you know opens the doors to new opportunities. Soliciting a referral from someone in your existing network that can connect you with a consultant has its advantages. A mutual connection can place you at the top of a consultant’s mind by the mere fact that you come recommended by someone they respect. Search for consultants that specifically serve your industry, field, or region. Once you have identified consultants that seek candidates specific to your industry, field, or region, begin networking with them. It is a good idea to interview the consultant to ensure you invest your time networking with someone who can genuinely help you in your job search. Executive search consultants are busy and do not have the time to deduce your interest in connecting with them or the value you will add to a company. Therefore, it is a mistake to merely send them your resume. Provide the consultant with specific information that allows them to recognize who you are and the value you will add to their candidate pool. 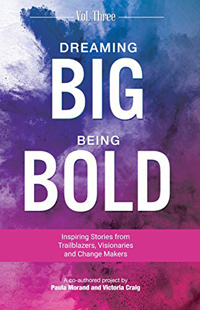 Introduce yourself with a direct, concise paragraph explaining who you are, your reason for connecting, and add four to five bullet points highlighting the jobs you are seeking and any achievements that would interest them. Be honest about your qualifications and never try to oversell or hide anything from the consultant. Your relationship with this consultant influences the future of your career. Therefore, you do not want to damage that relationship with dishonesty or inauthenticity. If a consultant contacts you about a job you are not interested in, be sure to provide feedback about the position and/or recommend someone in your network you think would be a better fit. A word of caution: Remember your recommendations are a reflection of you, so be sure to recommend people you know would be a professional, qualified candidate for that specific job.